The Alps are Europe’s highest mountain range; their broad arc stretches right across the centre of the continent, encompassing a wide range of traditions and cultures. In former times the mountains were feared as the realm of wild and dangerous beasts, and the few travellers who ventured over high passes such as the Simplon or the Great St. Bernard expected to encounter tempests and torments of hellish proportions. But over time the Alps became celebrated by writers for their beauty rather than their savagery. 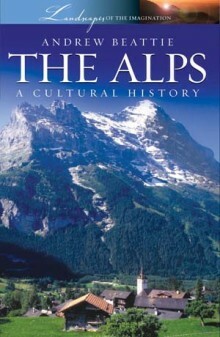 In the nineteenth century, inspired in part by the work of poets such as Byron and Shelley, tourists began flocking to the mountains, and with the development of winter sports a hundred years ago the fate of the Alps as one of the great tourist playgrounds of the world was sealed.Andrew Beattie explores the turbulent past and vibrant present of this landscape, where early pioneers of tourism, mountaineering and scientific research, along with the enduring legacies of historical regimes from the Romans to the Nazis, have all left their mark. HISTORICAL FIGURES: From Julius Caesar and Hannibal to Napoleon and William Tell, the position of the Alps at the heart of Europe has led to centuries of war and conflict. FOLKLORE AND TRADITION: The wildness of the mountains has inspired a unique popular culture, from legendary tales of dragons flying among the peaks to performances of religious passion plays in valley towns. WRITERS, ARTISTS AND FILM-MAKERS: From the Romantic poets to Charles Dickens and Mark Twain; from Turner and Ruskin to the film-maker Leni Riefenstahl; from James Bond to The Sound of Music; the beautiful scenery of the Alps has provided the setting for books, poems, films and paintings through the centuries. ANDREW BEATTIE has written for Rough Guides, the Independent on Sunday and the journal Contemporary Review; his previous book Cairo: a Cultural and Literary History is also published by Signal Books.